The third Saturday in September of each year means Coastal Cleanup time in Alabama! 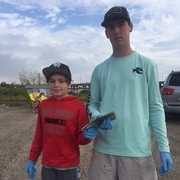 In conjunction with the International Coastal Cleanup, PALS partners with the Alabama Department of Conservation and Natural Resources/State Lands/Coastal Section to coordinate and implement the Alabama Coastal Cleanup. This annual effort is made possible through our valuable Alabama Coastal Cleanup Corporate Sponsors, Zone Captains and over 5,000 volunteers that dedicate their time and resources to this successful coastal effort. 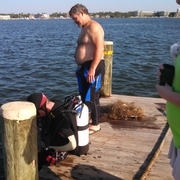 The 28th Annual Alabama Coastal Cleanup was held on Saturday, September 19, 2015. 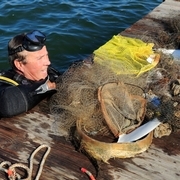 This year, over 5,000 volunteers helped to “get the trash out of the splash” by walking, boating or scuba diving 31 different coastal and inland waterway zones across Mobile and Baldwin counties, as well as inland zones in the Blackwater and Sepulga watersheds and as far away as the Tennessee River. Large trash bags, Tee-Shirts, Posters, Data Cards and other valuable cleanup materials are provided to all cleanup volunteers, and are distributed at each of the 28 zones from Dauphin Island to the Alabama-Florida line. During the over 28 years of the Alabama Coastal Cleanup, over 83,000 volunteers have picked up over approximately 1.5 million pounds of litter and debris from our beautiful Alabama coastal areas, beaches, state and county roadways and bayous, bays and other coastal areas, making Alabama a beacon for other participating states. Discover more facts from the data sheet provided by the Alabama Coastal Cleanup. Thank you to all those who supported the cleanup this year. This huge event would not be successful without the hard work of our volunteers and the generous support from our sponsors. 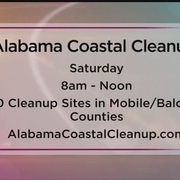 Learn how you or your organization can participate by visiting the the Alabama Coastal Cleanup website. 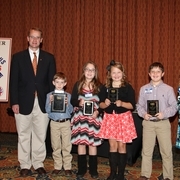 Alabama PALS is a 501 C-3 Not for Profit statewide organization dedicated to providing and implementing anti-litter programs for all Alabama counties, cities, communities, schools and other groups striving to enhance their environmental and economic impact through a litter free, cleaner and more beautiful environment.